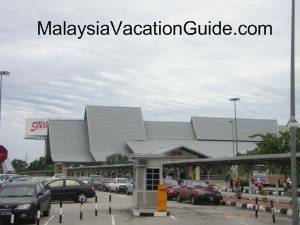 Moving from Melaka Tourist Information Center and walking at the pathway between Samudera Medan Handicraft Shop and Melaka River for less than 10 minutes, you will reach the famous Maritime Museum. Standing in front of the museum, you will first be surprised by the magnificent structure of the museum and later, redefine the common way you perceive a museum as nothing more than a normal building. 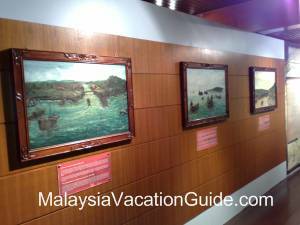 The framed paintings that depict the history of Melaka. The diorama of a ship with its crew. The structure of the ship is actually a replica built according to the former Portuguese ship named “Flor De La Mar”. 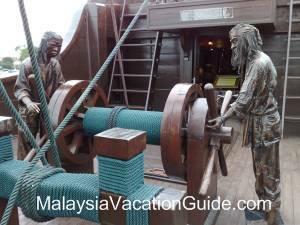 Centuries ago, the ship which carried a vast amount of Melaka treasures was on the way back to Portugal. However, accident happened and caused the ship to sink off the coast of Melaka. 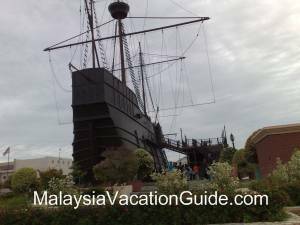 The construction of the museum according to this former Portuguese ship started in year 1990 and was opened to the public in 1994 after being officiated by Malaysia former Prime Minister, Tun Mahathir. Once you stepped into the museum, you will feel a sense of serenity through the dim light and spiral staircase. Walking downthe stairs you will see models that visualize the situation of how traders from Arab, India and China conducted business with each other in order to gain profit in Melaka port, which was known as Venice of the East at that time. 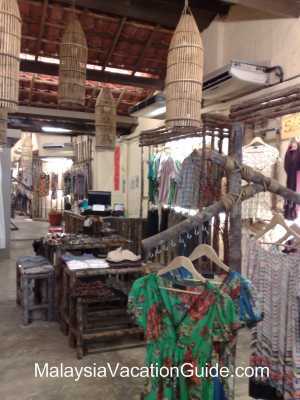 Porcelain, silk, textile and spices were among some of the famous merchandises being brought into Melaka by the traders. 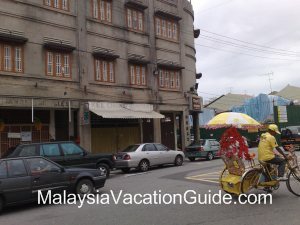 Walking down further, you will get to see framed paintings and picture that illustrate how Melaka played its role as emporium for traders from all around the world. From those paintings, you can see how the Straits of Melaka is a strategic location for traders from both the east and the west to stop and conduct business while waiting for the monsoon season to change. 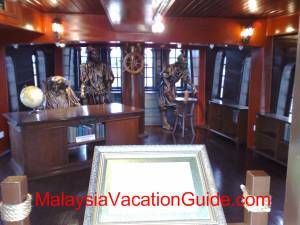 Apart from showing the significant history of Melaka Maritime, Maritime Museum also showcases the different eras that Melaka has gone through, from the Melaka Sultanate era, to Portuguese era, Dutch era to British era. With different flags, statues and illustrations representing each era, you will realize that history is no longer a series of boring lessons. For ship fanatics, you will be thrilled by a collection of different ship models that are being showcased in the museum. From the collection, you can get to know more about the type of ships and and their functions. 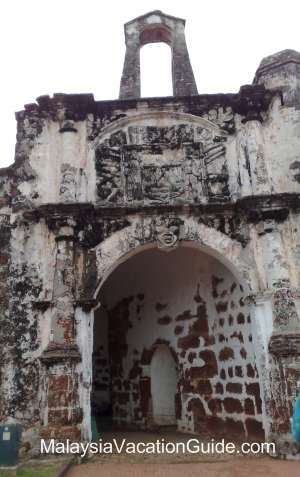 In the adjacent area, you can also read about the history of how Melaka became an Islamic state and the legend of famous warrior such as Hang Tuah during the Melaka Sultanate era. There is another interesting part on the upper level of Maritime Museum. Coming out from the dim museum, you can climb the stair that bring you up to the upper level of the ship. This is where you can see diorama of a captain cabin. Although you are not allowed to walk into the cabin to have an actual look, you can still read about the roles of a captain at the door step. In ancient time, the Portuguese captain was the most powerful person in the ship where every subordinate will have to obey his instructions. Those who were found committing crime will be sentenced by the captain immediately. He will also be the one who took full responsibility in fulfilling the mission of the king and ship owner. 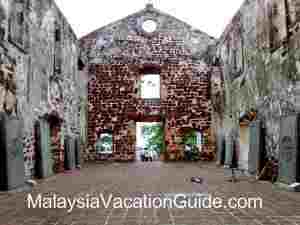 By visiting Maritime Museum, you will be able to understand Melaka more vividly. 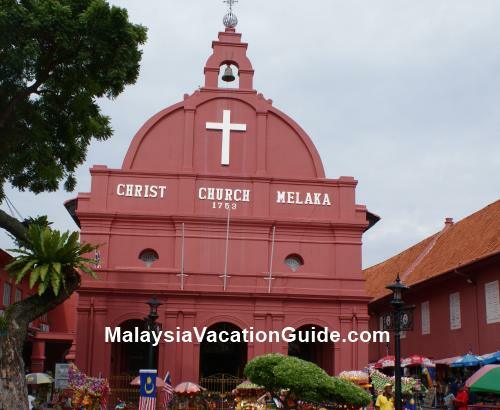 Apart from the educational and beneficial information you can get from the museum, this place is also one where you will find the art of architecture blended in together with the history of Melaka. The entrance fee for Maritime Museum is RM 3.00 per entry for adult and RM 1.00 for children and students. Visitors are not allowed to go into the museum by wearing shoes. You can choose to put your shoes at the shoe rack provided at the entrance door or put them into a plastic bag provided by the museum and carry it with you to the museum. 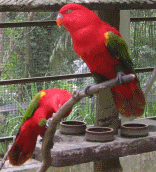 Further information can be obtained by calling Tel: +6 06 283 0926.